Waterproof down to 98 feet. No case needed. Record HD video or capture still pictures up to super-sharp 12MP photo quality. 4X zoom and anti-shake technology. Wireless wrist remote. 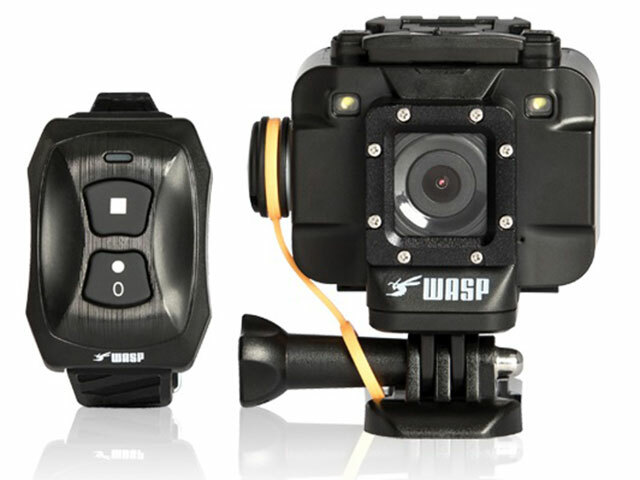 Film, edit and share your videos wirelessly with the free WASPcam app. Includes three mounts, rechargeable battery and two LED safety lights.